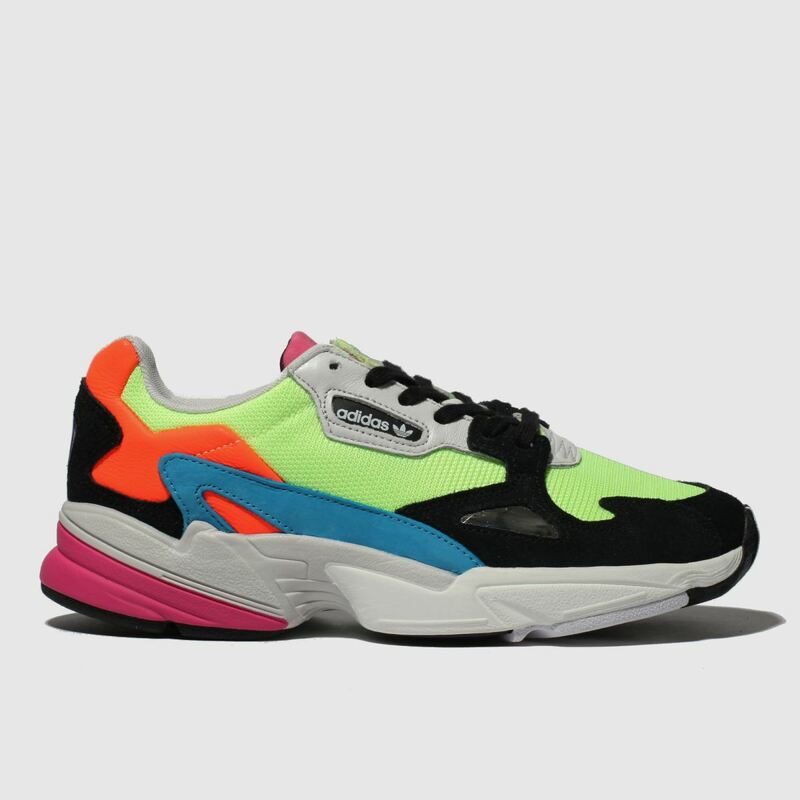 Get bold, neon is in. 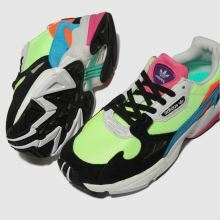 This flashy adidas Falcon arrives with bright colour blocking appeal to take things new season. 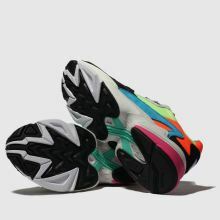 Packed with leather and mesh layers for a dynamic look, the profile serves lime, black, orange, pink and more for a statement look.